After the long holidays, there is always that excited moment when most families prepare their children for back to school. Of course, some parents despite wanting their kids to go back to school and leave them rest from all the noise and what have we that characterizes such long holidays, are also lamenting about the finances involved as they prepare their children for back to school. Sadly, this excitement is sorely missing in the Anglophone part of Cameroon today and has been missing since 2016 when this present Anglophone crisis began. While some parents have made arrangements to send their kids to other parts of the country, most of those with very young kids or without the means to do so are cautiously preparing for back to school. Whatever the case, there is an excited air in most parts of the world today as many countries are talking back to school and children must be prepared to enable them have a successful academic year. 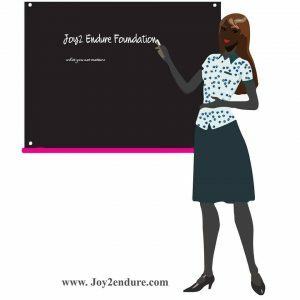 In addition to buying the books, dresses or uniforms and whatever is deemed necessary for back to school, parents of sickle cell warriors have to go the extra mile to prepare their warrior kids for a successful academic year. These back to school preparations always brings back fond memories of how my family prepared me for a successful school year. I will share some of the tips here and hope in one way or another, it also helps parents prepare their warriors for the school year. At the beginning of each school year, my dad always used to accompany me to school not as much as to see me off to school but to make sure that I was well settled in school. In addition, he always made it a point to see the school head and talk to him or her about two things; my health challenges and my hearing impairment. In a country which doesn’t offer much to persons with disabilities especially back then, this was very important. 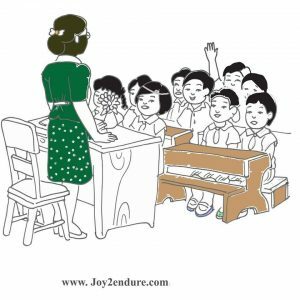 This always made the school headmistress or headmaster know about my problem and in turn, the teachers who were assigned to teach my class. For one thing, it made the teachers willing to pay attention to me and to accommodate me easy during those periods I may have to stay away from school due to poor health. I still vividly remember how after a particularly long period of absence due to hospital stays, two of my teachers searched for my house and came visiting just to check on me. This I believe couldn’t have been possible if my dad didn’t ignore the taboos and refused to stay quiet about my health challenges. So, parents talk to your warrior (s)’ school head and teachers about their challenges. You are always going to be your child’s first advocate until they are big to do so themselves. Let the teachers be in the know. I can bet you, most will be more than willing to work with you and make your warrior’s school year as smooth as possible. Dressing warm is important. Shop for that additional pair of socks, pullovers or whatever that may be important to keep your warrior warm throughout the day as they are away in school especially during those cold/harmattan periods and rainy seasons. I am not saying choke them with none descript dresses oh. Try to get them warm but comfortable tasteful dresses to go with their uniforms when necessary. Get them a water bottle handy always. 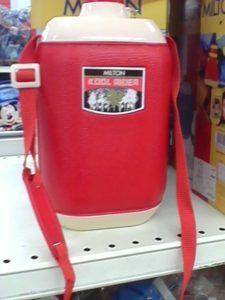 I remembered carrying my water bottle to school every day and being mocked at by some classmates. The interesting thing was that those who mocked me usually turned around and beg for my water. Thankfully, I didn’t care much what people said. I knew I needed that water and so, I carried my water bottle daily. So, get your warriors water bottles and always make sure that they are refilled with fresh water daily. In many countries, sickle cell is seen as a disability and provisions are put in place to help them. I know being called a disabled person is not something many warriors wished to be called. Nevertheless, it is sometimes good to try to look above such labels and just focus on getting the most out of available help and situations. So ask questions and whatever benefits are available for warriors. 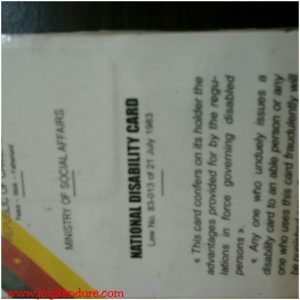 In Cameroon, your warrior will need a disability card to be able to benefit from such help. Parents should make enquires and go to social affairs delegations around them to ask for what help is available and what steps to take to submit a disability card and make the most out of it which may sometimes include free or subsidized fee in education and healthcare. Make sure that a mild pain killer is always available in case of sudden start of crisis. 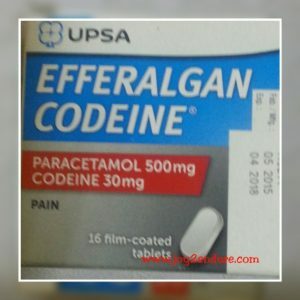 You can keep such at school with the teacher if the child is too small to handle these pain killers and of course, make sure to explain to the teacher when best to administer such drugs so that they do not indirectly pump the drugs into their system. Have an emergency number any of the parents can be reached easily. Self-care without being too self-centered is important. Make sure your warriors eat, stay hydrated and just learn to take care of themselves. They should also endeavour to rest well, read and prepare for exams and tests in advance to avoid stressful moments which may trigger crises. Let the school know why your warrior shouldn’t get involved in extreme sports and other activities which may be strenuous. Help your warrior feel comfortable about themselves and not let anyone put them down because of their health. This confidence will enable them develop that thick skin needed to deal with the stigmas and discriminations that may sometimes arise no matter how much you love and care for them, your warrior kid would always face these challenges as there are many superstitious and ignorant people out there. Avoid comparing your warrior with other kids. Let them study and grow at their own pace. Thank fully, we are a very intelligent group of people… lol. And above all, pray for your warrior always. These are some of the points my family and I took into consideration to enable me have as smooth an academic year as possible. If you know any more points, please tell us in the comment section and share with our audience. Do all the above and make learning a fun thing for your warrior. Keep reading, keep sharing and keep commenting. We are inspired by your comments. Thank you.